Seeking refuge from our usual late July valley weather (106+ temperature. low humidity, stagnant air), we went to Santa Cruz for five days. The almost thirty-degree temperature drop, cool foggy mornings and warm, not hot, afternoon sun was a good antidote. 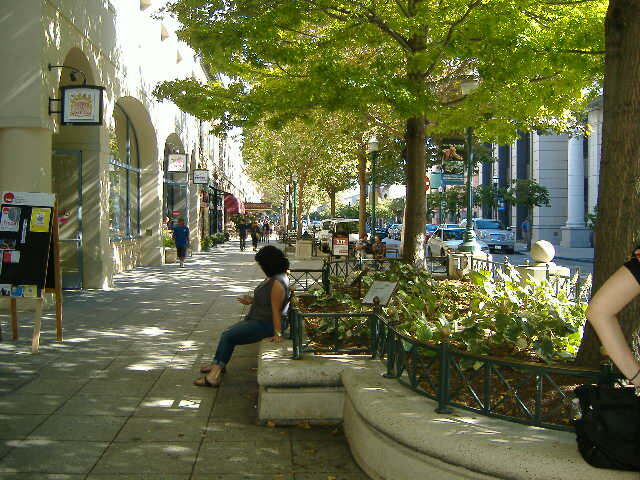 We spent time reading, walking and site seeing in and around the Pacific Garden Mall. There are lots of good, small restaurants, several great bookstores and unique coffee shops. A small movie theater about two block off Pacific Street is a favorite of ours. Lulu’s has great coffee, food and a small garden patio at the back. People sit, sip coffee, read and even write there! 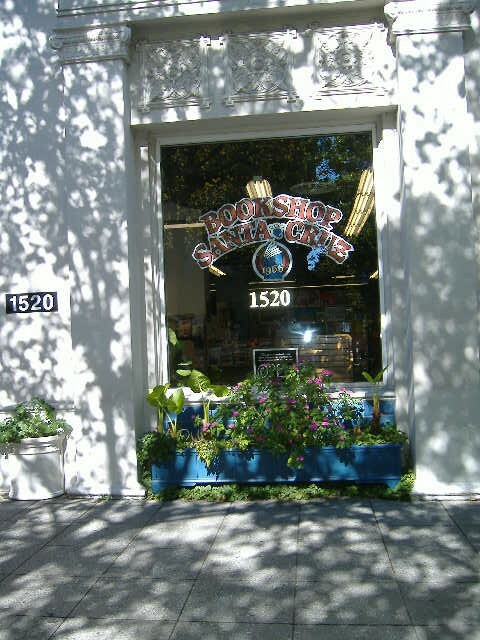 Book Shop Santa Cruz is wonderful to explore. In 1989 the Loma Prieta earthquake destroyed several of the older brick buildings on the Pacific Garden Mall. At least one person on Pacific Garden Mall died in the earthquake. 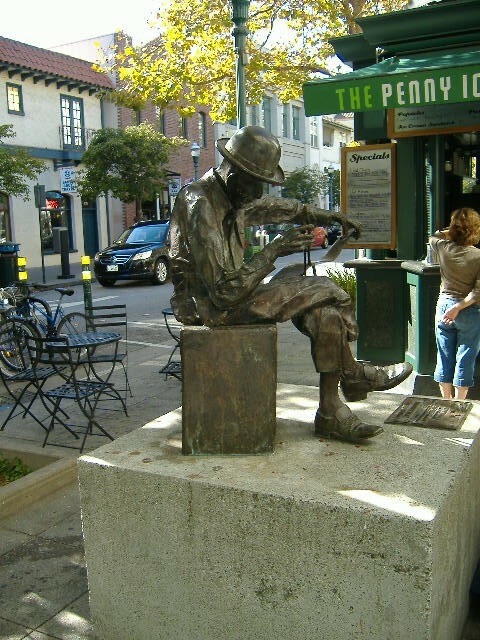 One of several sculptures on the Mall, this one shows a musician we often heard on the mall. Not your typical musician, he played the saw. The front window of the Book Shop Santa Cruz. They feature local authors. For a couple of years after, parts of the area looked pretty grim. It was good to see an area we have visited many times over the years looking healthy and vibrant.